14,000 lb Lifting capacity. Cable driven. Single point pneumatic safety release mechanism. 20" non-skid, diamond plate runways. Powder-coated paint finish. C-channel construction. Hydraulic Operation for minimum maintenance. Jacks and Turntable not included in $4290 Offer. 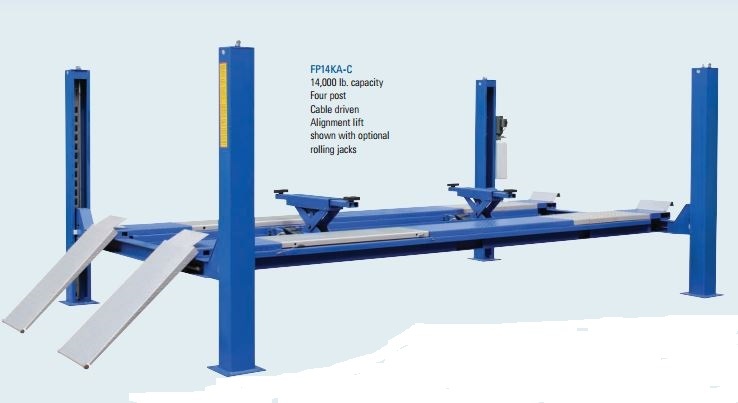 Click the button below to add the Buffalo FP14K-C 14000lb Four Post Lift, Closed Front, Cable Driven to your wish list.